Peripheral manufacturer SCUF sure know how to make a great PS4 controller. The SCUF Infinity 4PS Pro is a beast, and now there’s a new PS4 pad on the block. Officially licensed by Sony, the SCUF Vantage is the latest competitive controller for PlayStation 4. The SCUF Vantage is now available to buy in both wired and wireless versions in the U.S. and Canada. In addition to its smooth ergonomic design, the SCUF Vantage features plenty of customization options. 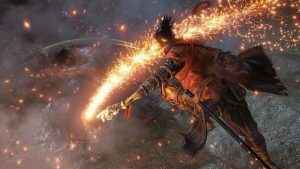 There’s four removable back paddles, a faceplate that can be removed so you can switch out the thumbsticks, and you can even reduce the weight of the controller by removing the vibration modules. 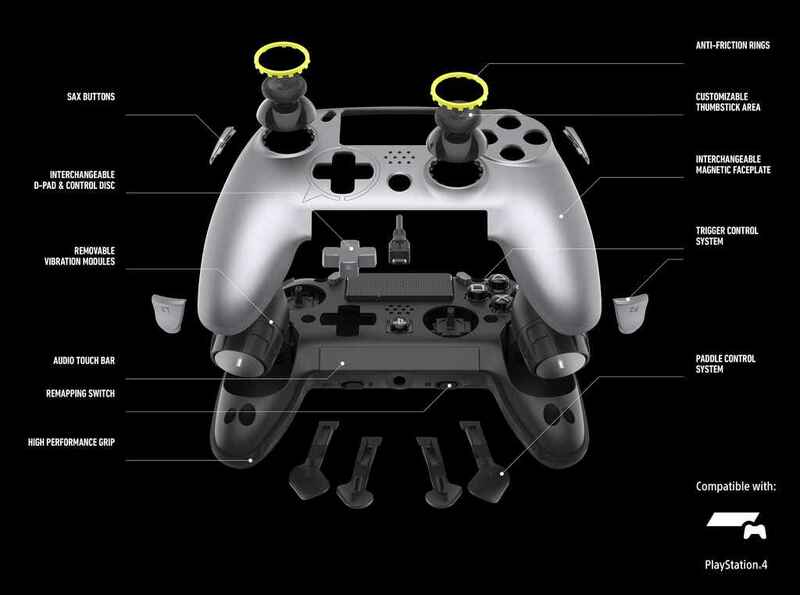 There’s adjustable hair triggers, extenders and trigger stops and the choice between different style of d-pads. 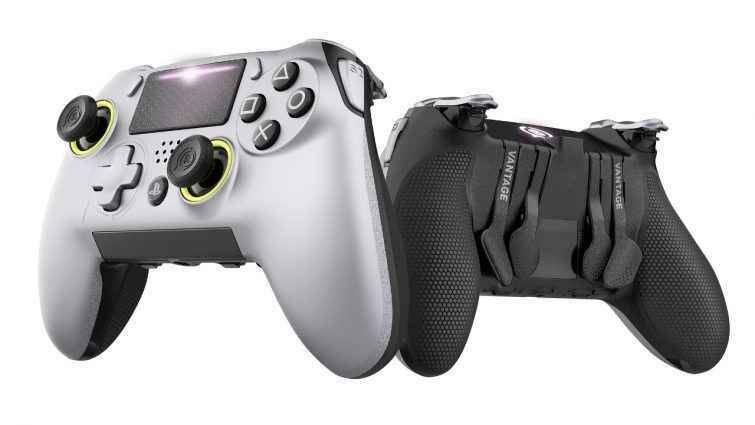 The SCUF Vantage will launch in the US near the end of Summer and comes with a wireless ($199.95) or wired version ($169.95). 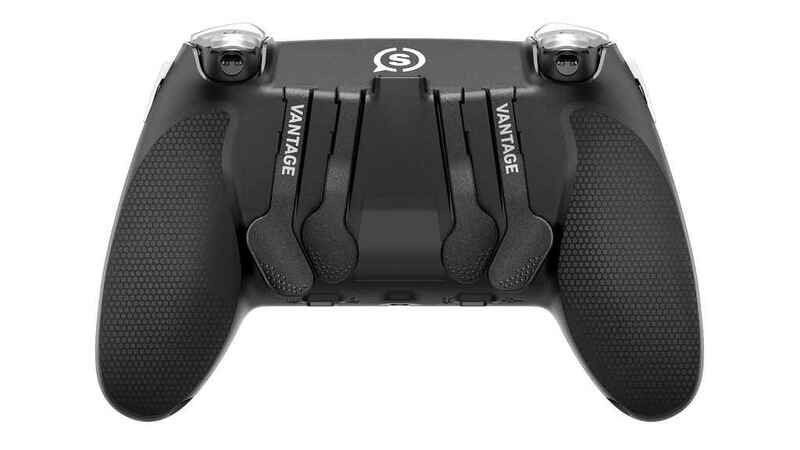 Check out all the features of the SCUF Vantage below. Scuf Vantage includes great customization for PS4. 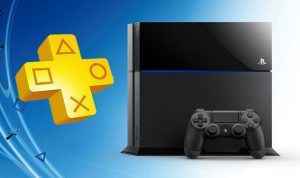 As well as using the new controller for PS4, it’s also compatible with PC and Xbox One. Check out how to order the SCUF Vantage right here. Not only is it trying to copy the Xbox One Elite controller, but the analogue sticks are in the wrong place. Big mistake, no interest whatsoever. Also the back flippers are in the wrong alignment.